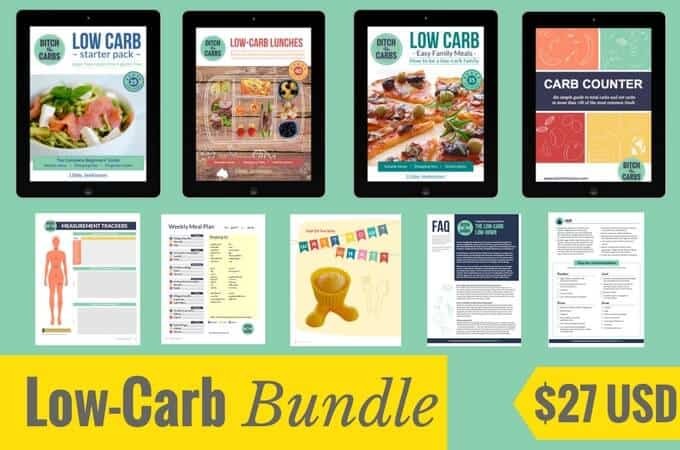 If you’re desperate to get started living low-carb, the Ultimate Low-Carb Bundle is for you. You will receive 5 digital eBooks at a huge price reduction to help you get started with all the resources you’ll need. Total value = $37.50 USD for only $27 USD plus I am including my low-carb FAQ and quick diet sheet FREE. 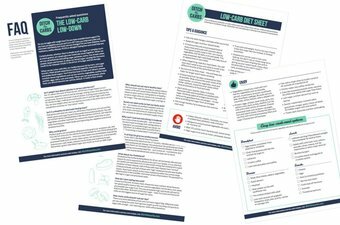 The Low-Carb Bundle also includes my Low-Carb FAQ & Quick Diet sheet. 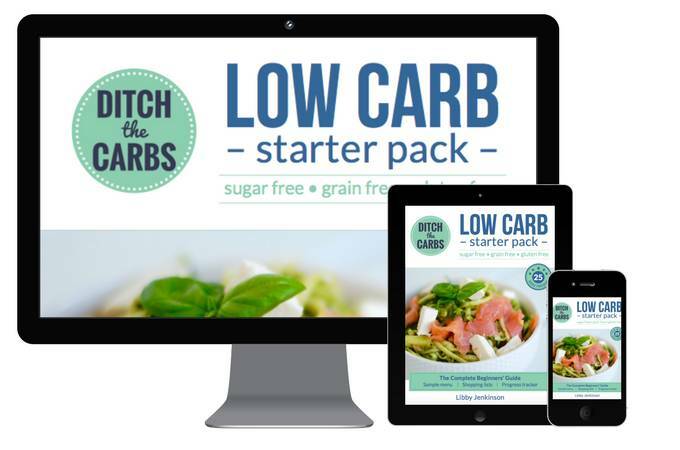 The Low-Carb Starter Pack is an absolute beginners guide to living sugar-free, gluten free, grain free and low carb. It explains why sugar is so harmful and why wheat and grains don’t belong in a healthy diet. Total value = $37.50 USD for only $27 USD . So stop wondering when you will start getting your life back, there is no better day than right now – TODAY! 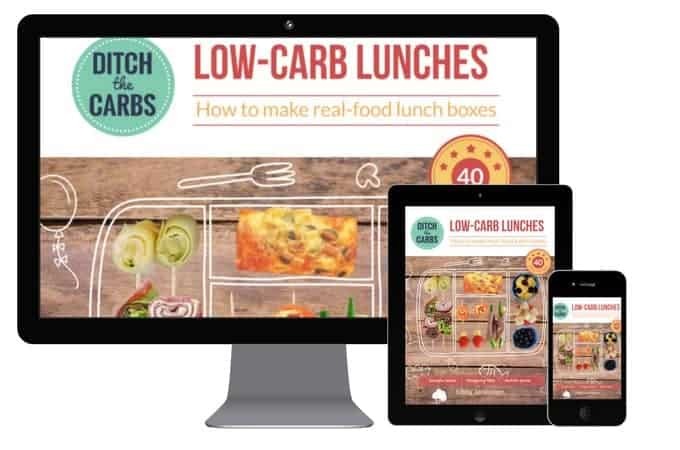 Low-Carb Lunches is perfect for those who just want to cut back on the junk, and for those who really need to knuckle down and go as low-carb as required to achieve stable blood sugars and weight control. Low-Carb Family Meals will teach you everything you need to know to become a low carb family. There is a 5 point action plan to help you remove processed food and junk from your daily diet. You’ll learn how to make easy family meals, even healthy fast-food. 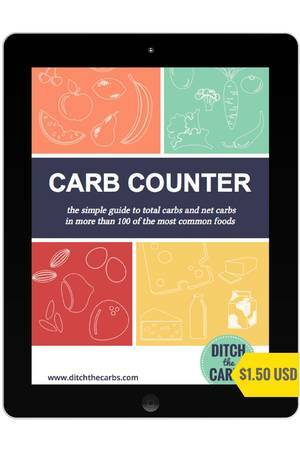 The Simple Carb Counter is a useful and practical guide to living sugar-free, gluten free, grain free and low carb. 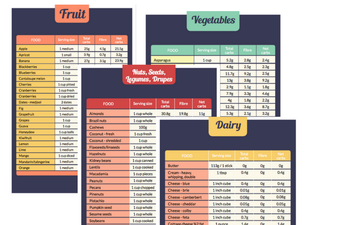 You’ll see at a glance the total carbs, fibre and net carb values for the 100 most common foods. “A perfect introduction to healthy, low carb living and all the hard work is done for you” Dr Maryanne Demasi, investigative journalist. “Love, love, love it! 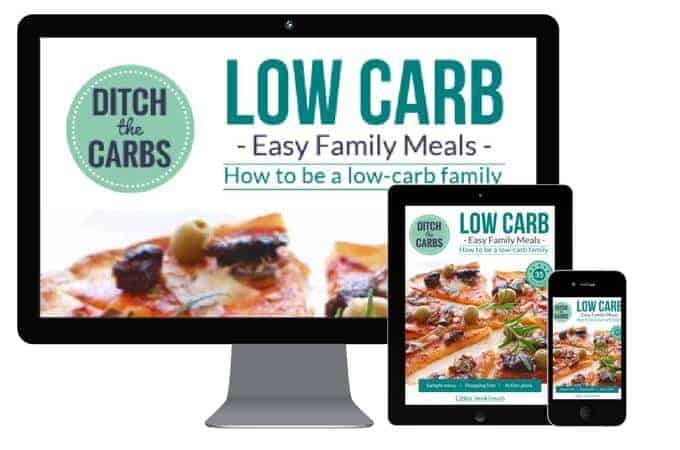 Without a doubt, one of the best Low Carb guides out there packed with great advice, brilliant recipes and easy to use guides.” Karen Thomson – Author of Sugar-Free: 8 weeks to freedom from sugar and carb addiction. 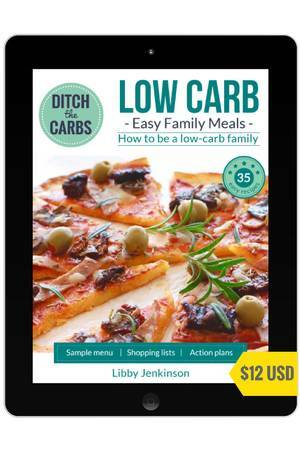 “This is a great introduction to the low carb lifestyle. 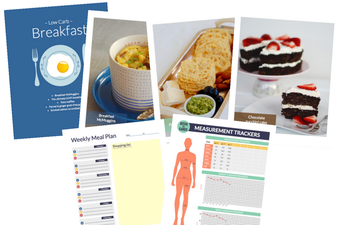 It provides some fundamental, user-friendly information to get you started, and then serves up a great profile of essential recipes that are based on tweaking of usual meals, that are easy to follow and applicable to the whole family. 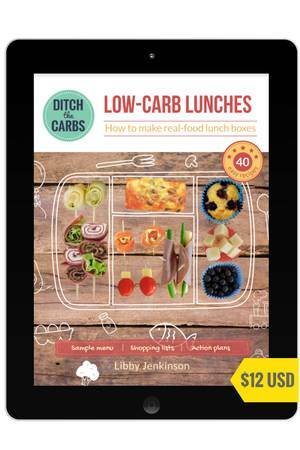 Well done Libby.” Dr Caryn Zinn – Dietitian/co-author of the What The Fat? book series. “Low-carb diets are an invaluable tool for those seeking to lose body fat, maintain a healthy weight or even manage a health condition such as diabetes, heart disease or epilepsy. 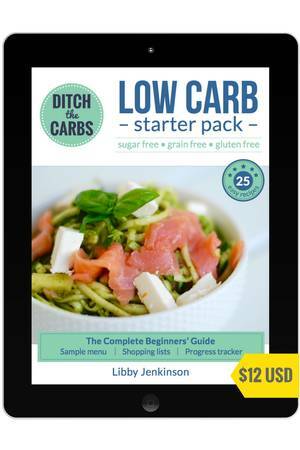 Libby’s book is an excellent resource for anyone who wants to follow a grain-free and sugar-free approach. You will find everything you need to kick-start your diet: an easy-to-follow guide that is perfect for beginners, 25 quick prep low-carb recipes accompanied by beautiful photos, shopping lists and even a sample meal plan.” Martina Slajerova, creator of KetoDietApp and author of KetoDiet cookbook.